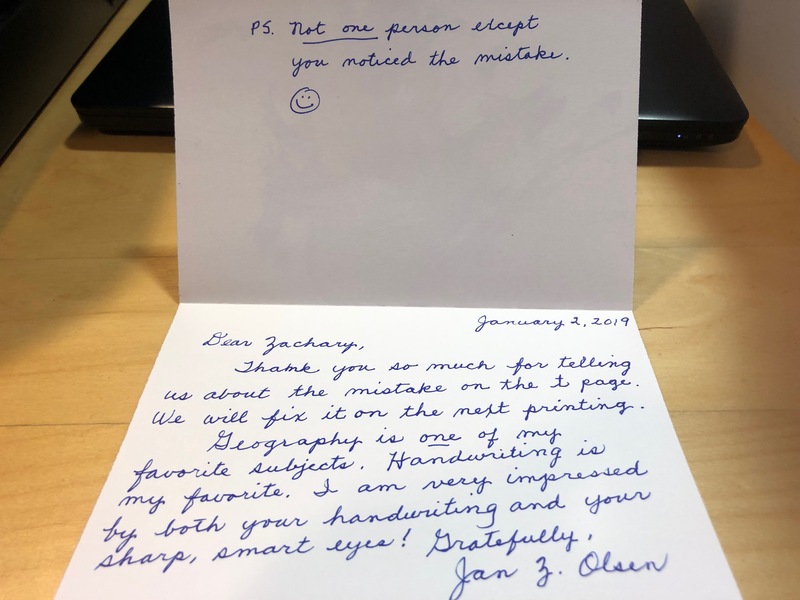 Big thanks to student Zachary, age 9, for pointing out a mistake in our Handwriting Without Tears Cursive Success workbook! Wow! 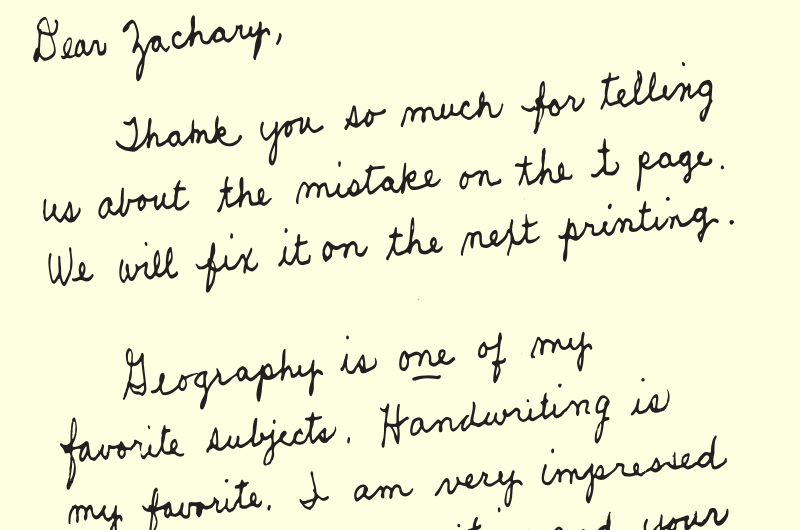 We’re so impressed with both Zachary’s tidy cursive writing and his meticulous eye for detail. Our founder, Jan Z. Olsen was thrilled to receive the letter and wrote the following response (click to enlarge). Thanks again for pointing out the error and taking the time to write to us!